June 15, 2012, Saipan, CNMI. We got a bit rained on in the morning and never ended up finding any whales, but we caught a couple of aku and I got to play my first game of Ultimate frisbee in four years. All in all it was a pretty good day; I’m sitting here in an air-conditioned house overlooking the pool with a beer at my side. 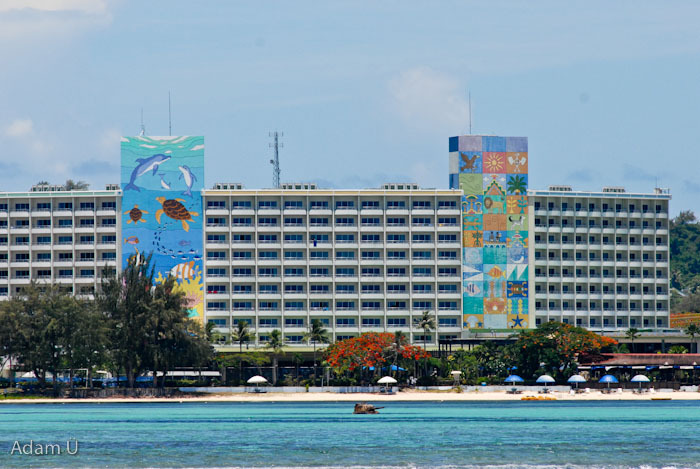 Saipan may have economic troubles (you can read about some of them here http://blogs.scientificamerican.com/guest-blog/2012/06/13/japan-tsunami-debri… )but for the casual visitor like me it’s a tropical paradise. Just look at this photo I took the other day; the hotel on the beach houses a waterpark and the waters our front are a great place to snorkel, dive, fish, kiteboard, and do just about anything else you could want to do in crystal clear tropical waters. What’s not to like? The whole island is popular with tourists from all over Asia, especially Japan. That being said, there’s a bit more going on in this photo. If you look closely you can see the wreckage of a Sherman tank in the lagoon. 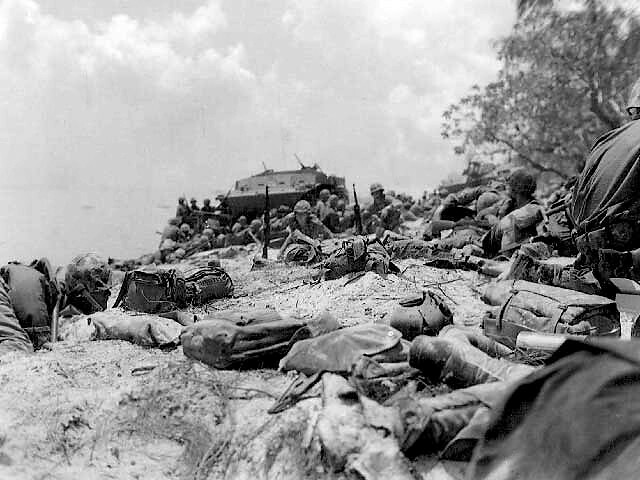 It just so happens that it ended up there exactly 68 years ago today during the opening stages of the Battle of Saipan, which lasted from June 15 to July 9, 1944. The hotel is located on Red Beach, where the 2nd and 4th Marine Divisions landed. The only thing “Red” about Red beach nowadays are the petals on the flame trees but I’m sure the scene wasn’t quite so tranquil back then. I’m not sure where I’m going with this, if anywhere. I’ve been here before and swam out to the tank, visited the museums, walked the beaches, seen the suicide cliffs on the northern end of the island, read books about it, and even watched “Windtalkers” with Christian Slater and Nicolas Cage. I guess being here on the anniversary made me think about it again.